Hey! What? $500-$10,000 a week…? WAIT! Is it a genuine business opportunity to begin with? Or… Is the Big Profits System a scam? Please read the Big Profit System review below and find out what it really is and whether it can help you make Big Bucks fast. My Verdict: Big Profit System is a SCAM! First, it uses deception. Second, it includes spamming people with emails/postcards and luring them into the expensive rip off scheme! Stay away! Better ALTERNATIVE to the Big Profit System That Will Help You Make $1200 a Month Online or More . …Click on the link below to see my #1 preference (Yes, I am using it). At First, It Looks Like A Normal Training. But Look Closer… It’s Simply Brilliant. And These Testimonials Are Proof. Full Review – Is the Big Profit System a Scam? Before I answer to this question, let me describe what the Big Profit System is and how it works. Big Profit System is a Multi-Level Marketing company (MLM) which promises you immediate cash flow – from $1,000 to $10,000 within days of joining them. They tell that the program is designed for the masses (including those who barely know how to use a computer). And, in fact, you can even do it offline – no computer required. According to them, the whole system is so simple that even beginners with zero experience can start making cash immediately. You can immediately start making between $1,000 and $10,000 a week. How to Make Money with the Big Profit System? It’s pretty simple – you sell the Big Profit System to other people. In other words, you try to recruit new members. That’s what MLM companies and pyramid schemes do, right? Usually, MLM companies have at least some kind of product lineup as well but as you will see below, the Big Profit System does not offer any real products or services. It means, the only way you can make money with BPS is to join their affiliate membership. There are 5 different membership levels and you will receive 50% of all sales that your recruits make. Technically speaking, it’s simple. All you need to do is refer people to BPS. After that their professional sales people take it over and close the sale for you. You can only receive 50% commissions when you refer the same level (or lower) members as you. If you refer higher level members, your commission goes to you upline (if he has bought into that level). Say, you have bought into Level 2 membership. It means, every time you refer a Level 1 member, you will earn $500. And every time you refer a Level 2 member, you will earn $1,500. However, if you refer Level 3, 4, or 5 members, you will earn nothing. To receive those commissions, you need to upgrade in the first place. You see! The whole system is just rolling money from one pocket to another, from lower levels to upper ones. Sometimes such systems are also called cash gifting systems – You give your money to your upline in the hope that even more people will give their money to you. Also, it’s easy to see that in order to earn big money quickly, you first need to invest tons of your own money (up to $21,000). After that you must find people who want to do the same. Don’t think for a second that it’s a cake walk. Now that you have seen how the whole thing works, let’s dig into the details and see whether BPS is a scam or legit. And guess what? In my research I unearthed quite a few important things that made me highly suspicious, to say the least. Let me name some of them and see what you think. That’s all they bother to tell you. All this secrecy makes the whole thing very suspicious, do you agree? Put differently, do you feel comfortable paying from $1,280 to $20,000+ your own hard-earned cash to such a sly company? I for sure don’t. 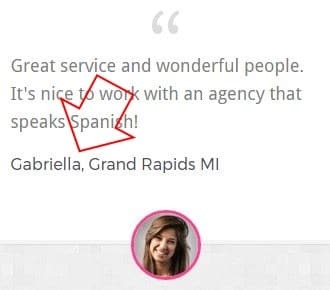 …If you are a legit and transparent company and honest-to-God work-from-home business opportunity, why on Earth do you need to fabricate your testimonials? Why don’t you give us real testimonials which prove that your system works indeed (like these real-life testimonials here)? Are the Big Profit System Testimonials Fake? See! Sometimes she is Jenny V, sometimes Sarah Williams, and sometimes Gabriella from Grand Rapids, Michigan. In other words, the Big Profit System fabricates its testimonials. 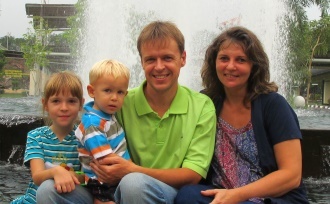 This alleged James H. is, in fact, Charles Rathmann from Washington University School of Medicine (link). If these con artists lie through their teeth like that, can you say their product is honest and transparent business opportunity? See! They don’t even call them products but product level. Why? Because, in fact, there are no real products you can buy. Put differently, you just buy a right to earn commissions. If you pay, say $1,000 (+ one time admin fee $280), you have bought a right to earn $500 from each Level 1 purchase ($1,000) that your downlines do. … I pay $1,000. Half of it ($500) goes to BPS and second $500 to my upline. Now I have a right to sell that Level 1 ‘product’ to other people. When somebody bothers to join, he pays $1,000 ($500 goes to BPS, $500 will be mine). Now he/she has the right to sell the same Level 1 ‘product’ to other people. And so on and on. Can you say you have bought or sold a product? Not really, right? It’s just rolling money from one pocket to another… From lower levels to upper levels. Do they really guarantee immediate, big cash flow when applied? Can you easily make $1,000 – $10,000 per week? Or… Are they lying with a straight face and these are just empty promises? It is obvious that these charlatans are plain lying. Remember, making Big Bucks online won’t come easy. There are thousands of “Get Quick Rich” schemes out there that try to convince you that’s it’s possible – Don’t believe them. Making legit money online is absolutely possible (see here) but it requires that you invest your time and hard work in the first place. My recommendation: If there is anything trustworthy in the Big Profit System website, and if you want to believe them, then believe their Income Disclaimer- the most honest piece in the whole site. Put simply, claims like these are outright lies. And only because of claims like these, the whole Big Profit System thing can be labeled as a scam. As I wrote above (Red Alert #5), there are no “Get Quick Rich” ways online. You need to work hard to achieve success online. Sorry but there are no shortcuts. If you are ready to invest your time and willing to sweat, though, here’s the best way to get started. I could easily list many more red alerts but do you agree I’ve already proved my case? My Verdict: The Big Profit System is not reliable and trustworthy business opportunity. It has many clear signs that is is a scam and rip off scheme. Moreover, the only way you can earn your money within BPS is ripping off other people. This, in humble opinion, is not an ethical way of making money. Better ALTERNATIVE to the Big Profit System that will help you make $1200+ a month online. And these testimonials are proof. Why not give it a whirl right now? You’re certainly not committed to anything. Thank you for reading the Big Profit System Review. I hope you found the information that you were looking for. Now that you have reached the end, what do you think? Is the Big Profit System a scam or not? Do you have any experience (good or bad) with the BPS that you’d like to share? Please drop me a comment below and I will return with a response. Wow! First is the huge discrepancy red flag about earning $500 to $10,000 or more! Right. Plus, it’s another MLM program. Now not all MLM is bad, but this one looks downright evil. I like how they “believe” there is big income potential here in the disclaimer. Not much of a ringing endorsement of their own product. The topper is the fake testimonials. Good products don’t need these. Red Flag. Mr. Ponzi would be proud of this pyramid scheme. Thanks for the warning. Hi, Warren, and thank you for taking time and dropping me a comment. I agree with you, not all MLM are bad. In fact, my wife uses different common household items bought from MLM and they are great. Yet, when I reviewed MLM vs Pyramid schemes, well, I am extremely cautious with them. Yes, there are those who get filthy rich in MLM but the big majority are doomed to lose money. The numbers are heavily against you – sad but that’s how it is. As for the Big Profit System – the facts don’t lie. Like these fake testimonials that you mentioned – it’s right – If your program is honest-to-God genuine one and you have tons of happy customers, why on Earth fabricate testimonials? Thank you again for the comment, sir! 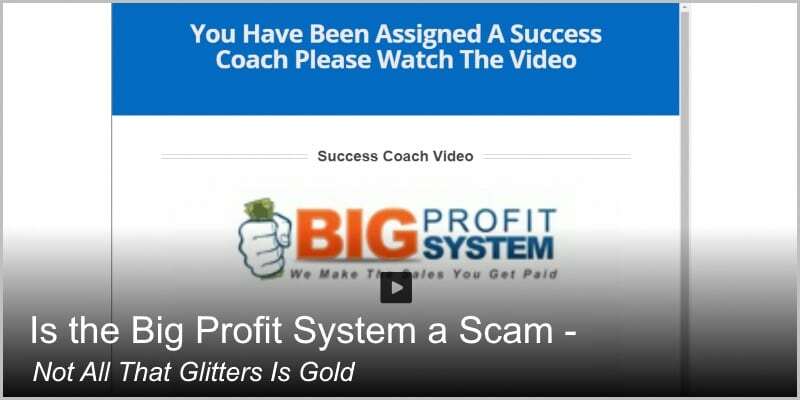 Thank you so much for posting the review of Big Profit System and whether it’s a scam or not. 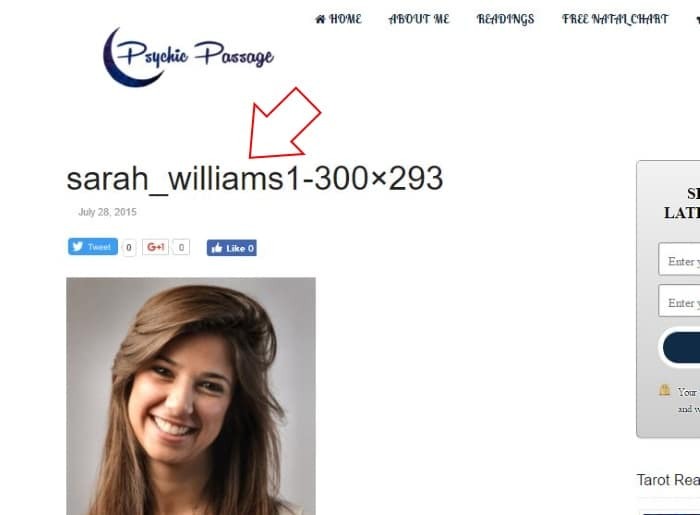 With there being fake testimonials and no way to get in contact with the owners of the website, you can definitely tell that it is not a legitimate business. I will stay far away from Big Profit System.